American Breast Care Lightweight Triangle Shaper has a hollow back that covers the entire breast area. The standard triangle footprint with a 3/4" thickness at the apex and full coverage in the bra cup. Crafted with Lightweight silicone which is about 30% lighter than Standard silicone. Lightweight partials lessen the weight on the chest wall and shoulders for a comfortable fit. 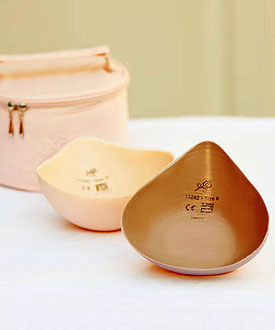 Get the lowest price on ABC 11242 American Breast Care - Lightweight Triangle Shaper. We are dedicated to always offering the best service and value to our customers. We will match the price, at the time of purchase or until 7 days after your purchase, on a Price Match Guarantee product if you find the same item ( ABC 11242) at a lower price at a Designated Major Online Retailer or at a local retail competitor's store in the US.